Call (201) 327-5258 today for high quality Ramsey asphalt and pavement repair. We will schedule an appointment to come out and fix the cracks and holes in your asphalt, so you can keep it safe and attractive. Click here for access to online discounts and coupons. Freshly laid asphalt has the ability to completely transform an old, tired-looking roadway or parking lot, but it doesn’t keep that “brand new” appearance forever. Vehicles, sunlight, rain, snow, wind and other factors will cause the pavement to fade, crack and split, requiring repairs. Leaving your pavement too long when it is obvious need of repair may cause a dangerous situation for the people using it, so it’s always recommended to take action quickly. Interested in reading online reviews of our service? Click here to see what others are saying! Aesthetics and safety are two of the main benefits of having your damaged pavement repaired. When the cracks and holes are filled and any lines re-painted, the surface is safer for the public, your family or your employees, depending on where the repairs take place. Cars won’t be damaged due to potholes, accidents can be avoided and no one will turn an ankle or fall after stepping into a crack. Repaired pavement also enhances the overall look, making it more inviting. Wherever your damaged asphalt happens to be, you always have the option of trying to repair it yourself. If you want the pavement level, maintaining the proper drainage and attractive to users and passersby, it is probably wise to trust the repairs to a professional contractor. Professionals have the experience, the equipment and the expertise to make sure the pavement is repaired correctly, and that there aren’t any new issues once repairs are completed. With experience comes the ability to troubleshoot unexpected problems, and in many cases this is a critical trait that the average person doesn’t possess. Whether your pavement is on your own personal property, at a retail store, school, shopping mall, office complex or townhouses, the repairs must be done right. Although it may seem like a trivial issue to some, the state of roads, walkways, parking lots and playgrounds is anything but trivial. The need for asphalt repair is more of a “when” scenario than an “if”, and you should align yourself with a reputable contractor to ensure you get it repaired correctly when the time comes. Damaged asphalt has the potential to cause injury, and it looks bad which has a negative reflection on you. 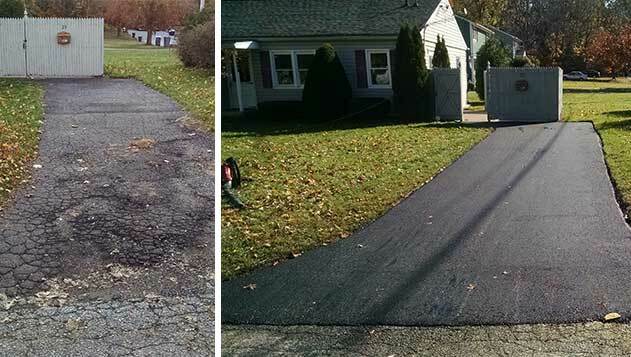 When you notice an issue with your driveway, walkway or parking lot, call McFarlane Asphalt at (201) 327-5258 in the Ramsey, NJ area so we can send one of our specialists out to repair it as soon as possible.